Slovakia is always a fascinating team at the World Juniors. They work hard, they always have a few players who surprise and nobody really expects anything more. Look at their 2015 tournament when they somehow pulled off the bronze medal against Sweden, for example. Once again, this year’s iteration has more questions than answers, and that’s not necessarily a bad thing. Seeing how the guys from HK Orange, Slovakia’s version of the US National Development team Program, translate against top competition is always a spectacle on its own. Can the players playing in North America fit in well with the team? Will the goaltending crumble or will they be the talk of the show? We never truly know until the tournament is well underway, but Slovakia has some things to look forward to this year. Goaltending: Let’s start with the bad news. For starters, the goaltending isn’t that good. The good news, that’s exactly what people said before Denis Godla had his superstar performance back in 2015 in Canada. St. Cloud State University goaltender David Hrenak could be the guy who gets the most playing time for Slovakia, given he’s playing in the NCAA, which features stronger competition than the Slovak league can offer. Hrenak doesn’t have much exposure to donning the Slovakian sweater, having only played four games at the World Under-17 Hockey Challenge in 2015 before getting part of a game at the 2016 Under-18’s. Hrenak was the third goalie for Slovakia at the 2016 games, but wasn’t brought back in 2017 thanks to a more crowded crease. This is finally his year to get the job done. Defencemen: Slovakia has surprisingly had some good defencemen grace their blue line the past few years, which has helped with their goal support. One of the players that will keep scouts interested is Michal Ivan, currently in his first season in North America with the Acadie-Bathurst Titan. He’s played against men the past two years and even started the season in Slovakia, but he’s made a name for himself early with the Titan and thus given him a chance to get drafted this year. Returning to the team are Martin Fehervary and Martin Bodak. Fehervary has the potential to hear his name called in the first three rounds of the NHL Draft and a good showing in Sweden so far furthers that notion. He played in both the U18 and U20 World Juniors last season, skating as a top four guy both times. Meanwhile, Bodak ripped up the Finnish junior league last year before coming over to the Kootenay Ice this season, potting nine points in the first quarter of the season. His breakthrough moment came at the 2015 Hlinka Memorial tournament when the puckmoving defender grabbed five points in four games. The rest of the defensive group will see players with chemistry coming from HK Orange. Included in that is Vojtech Zelenak, who has represented the Slovaks at various U17 and U18 tournaments in the past. Outside of that, the team will be needing to resort to a trap style game if they hope to keep shots away from their goalies because the experience at a high level simply isn’t there. Forwards: Slovakia’s depth up front may be the best part about Slovakia’s roster, and it’s all led by Calgary Flames prospect Adam Ruzicka. The 18-year-old is ripping up the Sarnia Sting this year, a team that’s surpassing all expectations heading into the halfway point. Ruzicka is a big power-forward with with a good international stat line at various levels, and this will be his second time playing at the World Juniors. He’ll be given lots of opportunities to produce for Slovakia, but he’ll need some help. The help could come in the form of Hamilton Bulldogs forward Marian Studenic. New Jersey’s fifth-round pick in 2017, Studenic has had to carry the Bulldogs at points this year in what can be seen as a rebuilding campaign for them. Studenic looked good at last year’s World Juniors, but failed to record a single point. Then there is Milos Roman, a potential top 40 pick in the upcoming NHL Draft. Roman put up two points as a 17-year-old in last year’s tournament and has hovered around a point-per-game with the WHL’s Vancouver Giants. Roman was exceptional at the 2015 and 2016 Ivan Hlinka Memorial Tournaments and will likely be a key player at the Under-18’s this Spring, too. Slovakia’s depth with players playing in North America is deeper than usual, and Samuel Bucek and Jakub Lacka help contribute to that. Bucek is one of the USHL’s top forwards this year after playing in the QMJHL a season ago. While Bucek hasn’t represented his nation since the end of 2016, that was a great year for him internationally and he’ll be given lots of chances to up his resume. Lacka, a star for the Central Illinois Flying Aces, should be able to pot a few goals and will act mainly as a secondary scoring option for the Slovaks. Rouyn-Noranda Huskies forward Patrik Hrehorčák could make an impact, too. His experience of playing on North American ice could give him an advantage over his European counterparts and his U18 performance in April was impressive, too. On the HK Orange side of things, Erik Smolka has been far and away Slovakia’s best player in many games. A solid play maker, he and Alex Tamasi have contributed on many of the team’s goals this season and could do the same in Buffalo. Projection: Slovak fans seem quite split about the team this year. For some, this is one of the strongest teams they’ve had in a long time. For others, it’s a moot point because they won’t make it out of the quarterfinals. The reality is, it’s likely going to be a busy night for the back end each and every game and their best chance at a win comes against Denmark on New Year’s Eve. But don’t discount the team that sees many of its core players stick together for years. Each year, they’re so good, yet so bad when it matters. Sweden is always a major threat to win gold at the World Juniors. In In fact, since 2007, the team has never finished worse than fourth. But yet, they only have one gold medal to their name. The Swedes have finished in fourth an astounding five times, so at least they’re consistent. But consistent doesn’t matter when your biggest stars can’t seal the deal year after year. Once again, the team looks destined for a good result, but there’s even more excitement in the air. For starters, Alex Nylander is back. Nylander was one of the top players in the entire tournament a year ago, repeating his strong performance from 2016. Then there’s Rasmus Dahlin, the most-likely choice to go number one overall in this year’s NHL Entry Draft. The skaters are good, the goaltending is solid and the team has a lot of experience together. The United States may seem like the tournament favorites, but the Swedes may have something to say about it. Goaltending: Sweden is covered in net with Filip Gustavsson leading the way. Gustavsson, a Pittsburgh Penguins draft pick, played a game last year for the Swedes as an 18-year-old and went on to have a strong World Junior Summer Showcase tournament back in August. The top goaltender at the 2016 World Under-18’s, Gustavsson has looked good at pretty much every tournament he’s represented the Swedes in and has played against men for a few years now. Gustavsson will be one of the top goalies in the tournament, and he’ll need to be against Russia and the Czech Republic’s strong offense. Olle Eriksson Ek should also earn a start or two in the Swedish net, with the Anaheim Ducks prospect having also represented the Swedes at every level since the U16′ back in 2014-2015. He’s a big goalie that will fight for every minute of ice time before inevitably taking the starting role next year. Defencemen: We’ll save you the long write-up about Dahlin, because it would be tough to believe you don’t know anything about him yet. Dahlin’s second attempt at the World Juniors will see the Frolunda blueliner earn more ice time and more opportunities to lead his nation out of the bronze medal game and into the fight where it really matters, for gold. Joining him on the top pairing is Timothy Liljegren, who, at this point last year, was expected to be the top defenceman chosen in the draft. He would end up falling to 17th to the Toronto Maple Leafs, but has been good with the Toronto Marlies in his first season in North America and he has medals for Sweden at the U17 and U18 level. Liljegren didn’t represent his country at last year’s World Juniors, but the future defensive star played well for Sweden in the summer at the World Junior Summer Showcase. Vegas Golden Knights first rounder Erik Brannstrom is currently in his second full season with HV71 and he’s more than suitable to be a top four defenseman for the Swedes. One of Sweden’s best players at the 2015 and 2016 Hlinka Memorial tournament’s, Brannstrom moves the puck well and skates fluently, but he has very little experience playing on smaller ice. He should help chip in on the offense and will get lots of power play opportunities, so they’re set in that department. Another NHL Draft pick, Arizona’s Filip Westerlund, is hoping his first World Juniors is a successful World Juniors. A much more relaxed, stay-at-home option compared to Brannstrom, Westerlund isn’t the best skater but excels in keeping the puck away from his own net, also known as doing his job well. Some of Westerlund’s best action this season came with Frolunda at the Champions Hockey League, while also having a good SHL campaign this year. Forwards: Goals, goals and… did you say goals? That’s what’s on tap for Sweden, something that doesn’t seem to change ever, except when it truly matters the most. It all starts with Nylander, the Rochester Americans forward heading into his third world junior tournament. Assuming he doesn’t get hurt or fail miserably at the tournament, Nylander should be able to make his way into the top ten of all-time World Juniors scoring. In fact, if he got 12 points for the second straight year, he’d be tied with Niklas Sundström for eighth, one position behind Swedish legend Markus Naslund. Nylander’s centre will be Lias Andersson, a seventh overall pick by the New York Rangers in 2017. An extremely hard working forward with a great two-way game, Andersson has a knack for scoring and has already won a Swedish Hockey League championship. One of Frolunda’s best players, Andersson also has three goals and four points in five international games for Sweden in U20 exhibition games and should be one of the top forwards in Group B. One of Sweden’s strongest forwards, Elias Pettersson, is looking for redemption for his nation as well. The fifth overall pick in the most recent draft by Vancouver, Pettersson has absolutely absolutely crushed the Swedish league with 31 points by the time December rolled around, putting him well ahead of some key veterans. While Pettersson only had one point at last year’s tournament, he did have 10 points in 14 games with the U20 team last year and he’s destined for many, many points this year, especially if he does get to play with Nylander. More of a playmaker than a goal scorer, Pettersson is at the top of his game and he’s ready to dazzle in North America. Potential first-round pick Isac Lundeström will be a player worth keeping an eye on. Likely a second line forward for the Swedes, Lundeström has improved mightily in his second SHL campaign and had a strong Under-18 World Junior tournament back in April. A good tournament for Lundeström could be what keeps him projected in the first round. With an injury earlier in the year, there were some questions as to whether Jesper Boqvist would be ready to go for the tournament this time around. The New Jersey Devils prospect didn’t make the squad a year ago, but with a strong four game stint with the U19 team last year followed by a good stat in the Swedish U20 league this season, Boqvist has the tools and the talent to make things happen. Of the summer showcase stars, Fredrik Karlström and Oskar Steen deserve attention.,Karlström hasn’t scored much for Linkoping in the SHL this year but has been fantastic for Sweden in U20 action this year and had a good showing at last year’s World Juniors. A Dallas Stars prospect, Karlström likely slots in as Sweden’s second line centre, a player that should be dangerous from the first puck drop. And then there’s Steen, Boston’s sixth round pick last year. The short, shifty skater had four goals at the summer tournament, more points than he has with Farjestad of the SHL. Still, he’s looking good enough to score some goals at the Juniors and should be a quiet nuisance for the Tre Kronor. Returning forward Tim Söderlund will be an important bottom six role play for the Swedes. A fast, hard-working forward with the ability to rotate among forward positions, Söderlund isn’t afraid to get into the dirty areas to work extra hard for his goals. He also has five points in six U20 games for his nation so far this year on top of a three point performance in last year’s tournament in Montreal and while he likely won’t pot many this year, he’ll likely chip in a goal or two along the way. Projection: This seems like a team that would benefit more from playing on bigger European ice with their speed and skill, but they have enough talent and depth to really make a splash. In fact, they’re almost guaranteed to make the medal round and truly look like the second best team in the tournament. The Swedes have a lot of turnover this season with 15 goals missing from players in the their top five scorers from last year alone, but the offense from up front and the back end look too tasty to really be nostalgic. 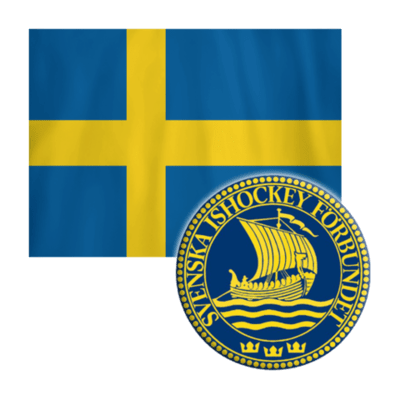 With two of the best scoring threats in Pettersson and Nylander, the Swedes are as dangerous as ever and really can’t afford another tough loss in the bronze medal game.